NGA said Planet was the only company that could supply imagery on a global basis at the frequency desired for the contract. Credit: Planet photo of Nador, Morocco. Updated at July 20 at 9:58 p.m. Eastern to include additional information from Planet, and Oct. 20 at 11:50 p.m. Eastern with additional information from NGA. WASHINGTON — Planet has won a second contract to provide satellite imagery to the U.S. National Geospatial Intelligence Agency (NGA), taking a sole-source award while UrtheCast, Orbital Insight and Sky Hawk Drone Services offered noncompetitive capability statements. The one-year, $14 million contract follows a seven-month, $20 million pilot contract that began in September to assess ways San Francisco-based Planet’s “persistence and global coverage capabilities could most effectively support the NGA mission,” according to a July 19 agency statement. NGA said the agency requires the ability to monitor changes across large geographic areas for humanitarian and intelligence missions. Planet’s constellation of remote-sensing cubesats, called Doves, is currently the largest constellation in orbit. The NGA document described the constellation as 160 satellites with 120 active, but Planet spokesperson Trevor Hammond told SpaceNews July 20 that the operator’s current fleet numbers 190 satellites, 142 of which are actively imaging; the remaining 48 are still being integrated into the fleet after launching on a Soyuz rocket last week. Dove cubesats have an average resolution of 3.7 meters. The Planet fleet also includes seven larger SkySat satellites from its acquisition of Terra Bella and five RapidEye satellites from BlackBridge. Of the companies who filed capability statements — meant to inform NGA of what services they can or hope to one day provide — only Vancouver-based UrtheCast is a satellite operator, and the company’s first UrtheDaily satellites won’t be in orbit until early 2019. The company currently leverages cameras on the International Space Station and two free-flyers gained through the acquisition of Elecnor Deimos in 2015. NGA said that Orbital Insight, not being a satellite operator, was inherently “incapable of satisfying the requirement.” Hanover, Maryland-based Sky Hawk Drone Services provides imagery only for domestic monitoring activities, the agency said. NGA said the second Planet contract gives the Defense Department and the Intelligence Community imagery from 25 regions of interest that include the Middle East, Asia, Africa and the Americas. NGA’s mainstay imagery and geospatial solutions provider DigitalGlobe said at the time of the first Planet NGA contract that it had expected the agency to experiment with new small satellite resources. Nonetheless, DigitalGlobe is investing in small satellites of its own. 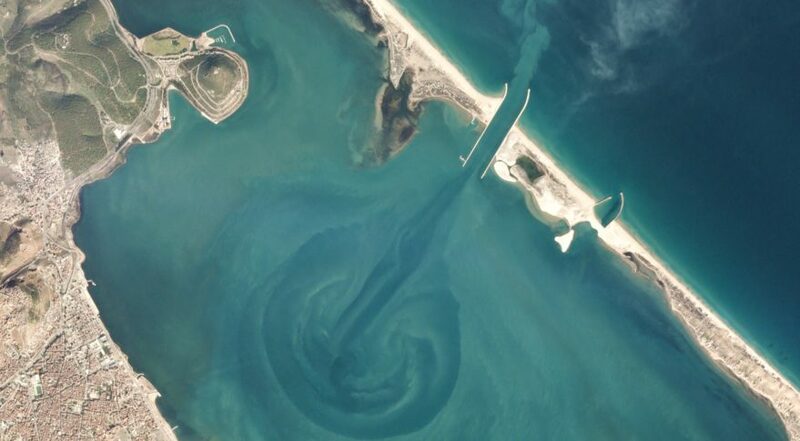 Through a joint venture with Saudi Arabia-based Taqnia Space and the King Abdulaziz City for Science and Technology (KACST), DigitalGlobe is building a constellation of least six small satellites called Scout, with sub-meter resolution imaging capabilities for launch in 2019. The company is also planning a constellation called WorldView Legion starting in 2020 for which it has given few details other than saying it will reach revisit rates of up to 40 times a day. WorldView Legion replaces the WorldView-1, WorldView-2, and GeoEye-1 satellites, and will double the company’s 30-centimeter and multispectral imaging capacity. Space Systems Loral, a satellite manufacturing subsidiary of MDA Corp., which is buying DigitalGlobe, is building those satellites.